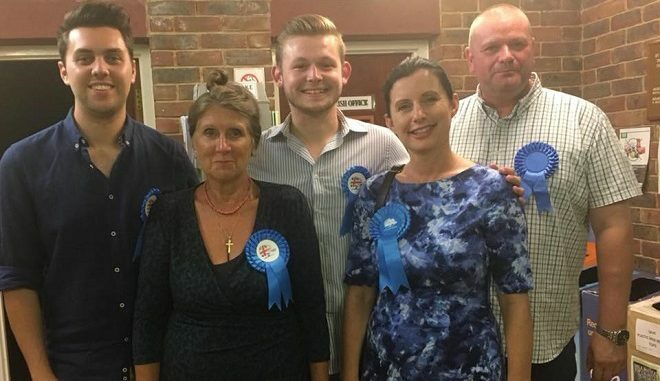 Conservative Linda Wright has been elected to the Birchington South seat on Thanet council. Cllr Wright, who already serves at parish level, received 651 votes following polls yesterday (July 26). Labour’s Helen Whitehead came second with 265 votes and the Lib Dem candidate Hannah Lloyd-Bowyer with 117. A Labour spokesman said they were delighted with the 4% swing. In percentages Conservatives took 63%, Labour 25.7% and Lib Dem 11.3%. There were no UKIP or Independent candidates. The turn out was just 19.9%. The result means the make up of Thanet council is now 22 Conservative; 14 Independent and UKIP Group; 12 Thanet Independent Councillors Group; 6 Labour; 2 Independents. It will be interesting to see what steps Councillor Wright will take to stop the development of a new housing estate in Birchington, rather than at the disused airport at Manston! Wow 25 per cent of Birchington voting supporting socialism. Labour is now the only party that can replace the moribund tories. 25% of Birchington support Labour ? I suggest you learn to read and perhaps take a short course in mathematics in order to understand results as declared. I understood this election was for South Birchington and not the whole of Birchington? Such utterings and calculations do nothing for my confidence in considering voting Labour! We had a visit from Labour and Tory earlier this week and when challenged, the Labour lady contradicted herself and made false promises. She spoke about a planned council meeting and that the Tory candidate hadn’t responded about his attendance. Straight after she left, knock knock was the Tory man pops by and tells us that he knew nothing about such meeting. Moral of the story is: Red/Blue or Yellow. They will stand on your door step, look you deep in the eye and tell you want you want to hear. The issue I had was the Labour lady said a few things that where fake and totally out of this world. I voted blue on this occasion but I have to say, I struggled to vote without a heavy heart. There was a meeting to discuss the issues of the by election, the liberals and labour turned up but the tories refused to attend the hustings council meeting, Shame on them, totally undemocratic and two fingers up to the electorate. 25% of 19.9% turn out = less than 5% of the electorate,so hardly a mandate for supreme executive power…. Not unlike the Brexit referendum then.